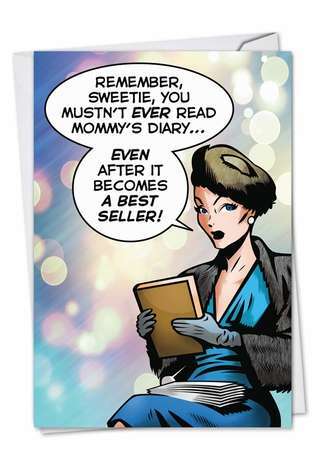 Cover Reads: Remember, Sweetie, You Mustn't Ever Read Mommy's Diary... Even After It Becomes A Best Seller! 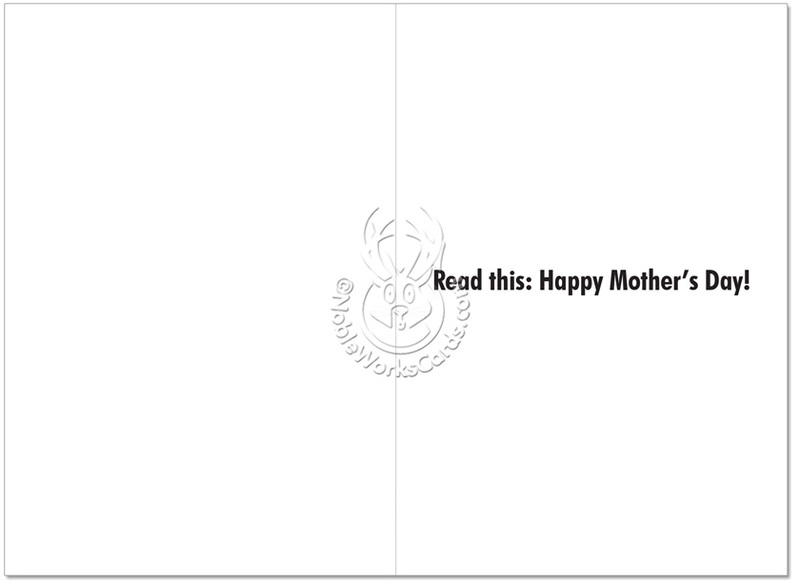 Inside Reads: Read This: Happy Mother's Day! 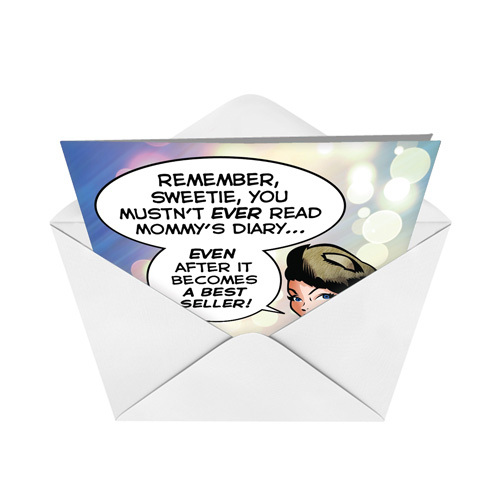 If your mom leads an interesting life full of intriguing secret details that she never wants you to know about, the Mommy's Diary Mother's Day humor card from NobleWorks Cards is the perfect choice for her. It's an even better card if your mom only wishes she had that kind of life, because it will make her laugh a lot. Greeting: Great Moms Turn Them Off First. Happy Mother's Day To The Greatest Mom There Is! Greeting: Happy Mother's Day. You're A Genius. Greeting: Cheers To You On Mother's Day! Greeting: Take A Break And Enjoy Your Mother's Day. Greeting: "One Day You'll Have Kids And I Hope They Turn Out Just Like You." Happy Mother's Day! Greeting: I'm Praying That I'll Never Have To Return The Favor. Happy Mother's Day! Greeting: Enjoy Some Peace And Quiet On Mother's Day. Greeting: Happy Mother's Day To The Best Grandma Ever! Greeting: I'd Like To Take This Opportunity To Wish You A Happy Mother's Day. Greeting: I'm Only Going To Say It Once! Have A Happy Mother's Day! Greeting: A Toast To You On Mother's Day! Greeting: Happy Mother's Day To The Best Mom In The Universe. Greeting: Hope Your Mother's Day Is Out Of This World. Greeting: Happy Mother's Day To A Super Mom! Greeting: I'd Tell You How Wonderful You Are...If I Could Just Find The Words. Happy Mother's Day. 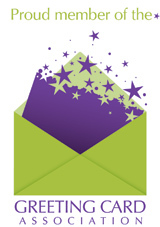 Greeting: Hearing That Never Gets Old, Does It? Happy Mother's Day! Greeting: Well Wishes On Mother's Day. Greeting: If It Was So Easy...Dads Would Be Doing It. Take It Easy And Enjoy A Happy Mother's Day. Greeting: Have A Happy Mother's Day, No Matter How You Slice It! Greeting: Hope Your Mother's Day Is Spot On! Greeting: Happy Mother's Day To A Super Mom. Greeting: Happy Mother's Day To Someone Who Does It All! Greeting: Never Change! Happy Mother's Day! Greeting: Eye Wish You A Happy Mother's Day.